Every year, PET Pesca promotes an integration action with the new students of Fisheries Engineering. 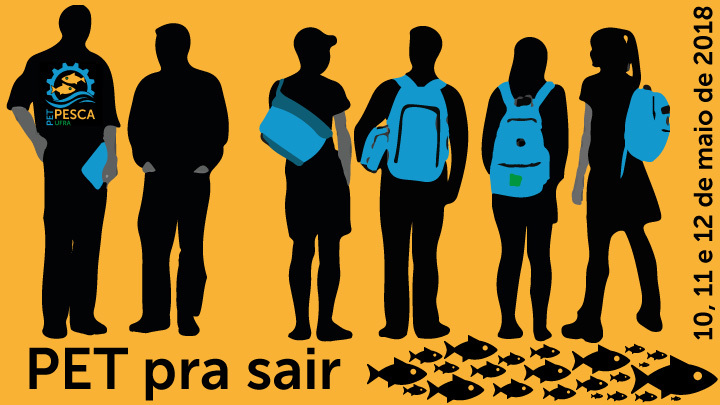 This event, titled PET pra sair, , is to succinctly explain characteristics in various areas of the course and in a relaxed way, also providing leisure and bonding between freshmen and members of our group. Above all, this activity aims to reduce the evasion of new students through the knowledge offered by PET Pesca. In addition, the event will be held on 10, 11, 12 and may, 2018, in UFRA – Farm School of Castanhal. Student of the Fishing Engineering course of the Federal Rural University of Amazon and fellowship holder of the PET Fishery group since 2017.